Propeller Dance Company is marking its 10th anniversary with a new show at GCTC that explores the barriers facing people with disabilities. If you can breathe, you can dance. That's the motto of Ottawa's Propeller Dance Company, which celebrates its 10th anniversary this year. Propeller is devoted to contemporary integrated dance, in which dancers with different body types and varying levels of ability use established dance practices to create and perform their work. The company performs its latest creation this weekend at Ottawa's Great Canadian Theatre Company. Living the undesirable life — written with the "un" crossed out — marks the first time in the company's history that its performance has deeply explored issues related to living with barriers. The concept began with a conversation late last year. "We took some time in the fall to talk about some things that we don't normally talk about, which is things that get in our way, barriers that we face, things that make us frustrated," said dancer and artistic associate Liz Winkelaar. 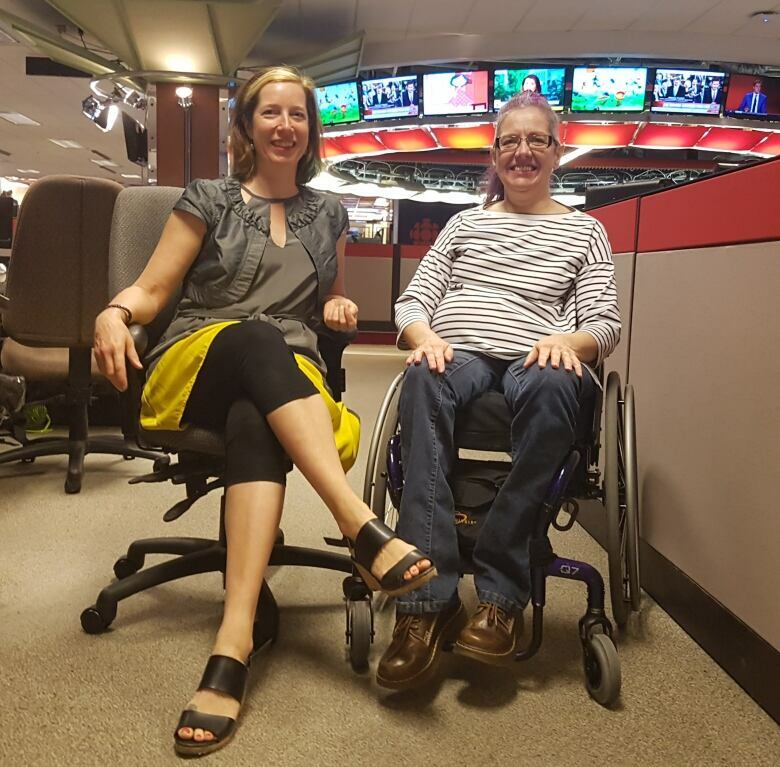 Winkelaar and choreographer Renata Soutter spoke to CBC Radio's Ottawa Morning on Thursday. Winkelaar, who performs in a wheelchair, said the group was inspired by the odd things that are said to people with disabilities. "Sometimes people ask really strange questions like, 'How do you get dressed?' for instance. Or, 'How do you go to the bathroom?' Things that are very invasive, and a little bit shocking. And you're not quite sure what to say." Through collaboration — an integral part of the company's work — the dancers and choreographer then translate those experiences into dance. "We take the stories, we put it into movement, and gesture, and text," said Soutter. "And then I get the great privilege of weaving it all together." For Soutter, it's important to explore not just the hardships the dancers experience, but also the happiness. "It's serious topics that we're looking at, around oppression and barriers. But we're also trying to find moments of joy as well," she said. It's that attention to the complexity of the human experience that has attracted audiences to Propeller's work for 10 years. "It creates a connection with the audience. We have a very loyal audience, but we are also attracting new people all the time to see our work," said Winkelaar. "The authenticity about ourselves as human beings, that we're putting out there, I'm hoping that the audience will take away." "People call this the most moving work they've ever seen. And the most meaningful contemporary dance that they've ever experienced." The June 23 performance at GCTC is sold out, but some tickets remain for the June 24 performance. Visit the company's website for more information about the slate of events lined up for their 10th anniversary.